As a smartphone maker, HTC has a special place in my heart. The original HTC Desire that was released back in 2010 was my first smartphone, and back in the day, I was mighty impressed by it. However, over the past few years, HTC has presented a mix of interesting technologies like BoomSound and the UltraPixel camera, but rather average hardware. The HTC U Ultra we have today is priced at a whopping Rs. 60,000, and as a result, competes with the likes of the Apple iPhone 7 and the Google Pixel, alongside facing stiff competition from upcoming flagships by Sony, Samsung, LG and others. After having spent a while with the U Ultra, it seems really unfortunate that the device feels like a missed opportunity for HTC to revive its game. It still has a number of good elements, but the myriad flaws overshadow the good here. 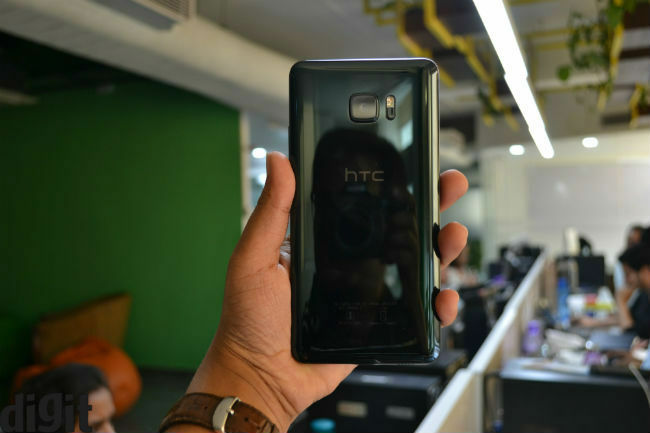 Before we set off, it is important to mention that the HTC U Ultra is not waterproof, and the company possibly realises that this is a significant downside for a smartphone that costs this much. When you buy an HTC U Ultra, you get a one-year insurance that covers liquid damage and any physical damage to the phones, and you don’t need any separate registration for it. Beautifully unwieldy is the first thing that comes to mind when you set your eyes on the HTC U Ultra for the first time. The device has a massive, 5.7-inch 2K display on the front. Below it is the rather small fingerprint sensor, next to which rests the capacitive back and multitasking buttons. At the top-left corner of the display is the front-facing camera, and to the right is the secondary display, which is actually more useful than I imagined. The rear has a very glossy surface that is a stickler for fingerprints. The HTC U Ultra is available in a bunch of incredible colours including Brilliant Black, Cosmetic Pink, Ice White and Sapphire Blue (which is the one we have). 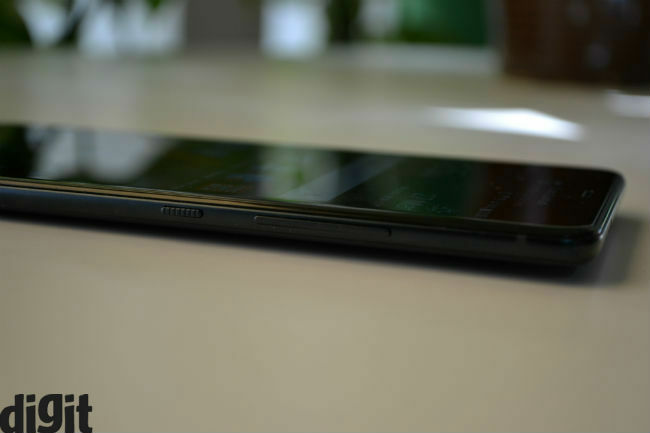 With the glossy rear, the HTC U Ultra looks quite splendid. However, along with fingerprints, it is also quite prone to scratches. HTC’s solution for this is to include a cleaning cloth – slightly helpful, but still rather inconvenient. The protruding camera module at the back does not let it lie flat on any surface. 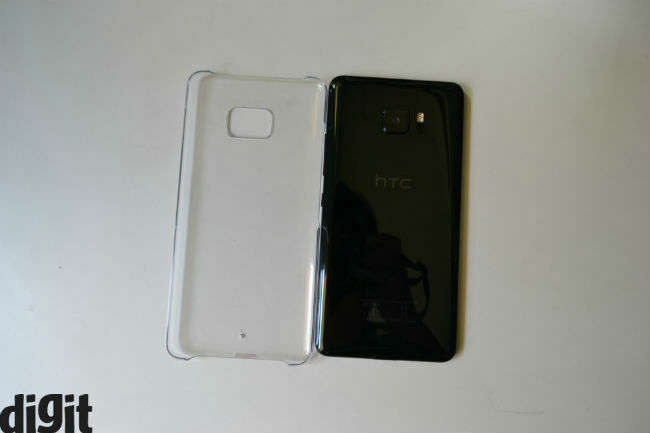 HTC includes a rear transparent cover in the box which will take care of all the scratches and blemishes, but the U Ultra doesn’t look as good any more. The tall, 5.7-inch display is difficult to use with one hand. It is slim, but the slightly unwiedly shape makes it difficult to fit into pockets. To sum up, the U Ultra has the essence of a good-looking device, but is not functional owing to the big size and the protruding rear camera. Unfortunately, you will spend a lot of time cleaning it or keeping it behind the veil of a case, which destroys the point of a good-looking smartphone. The capacitive buttons cover small areas on the front panel, which is not ergonomically ideal. This isn’t the first time that we have seen a smartphone with two displays. 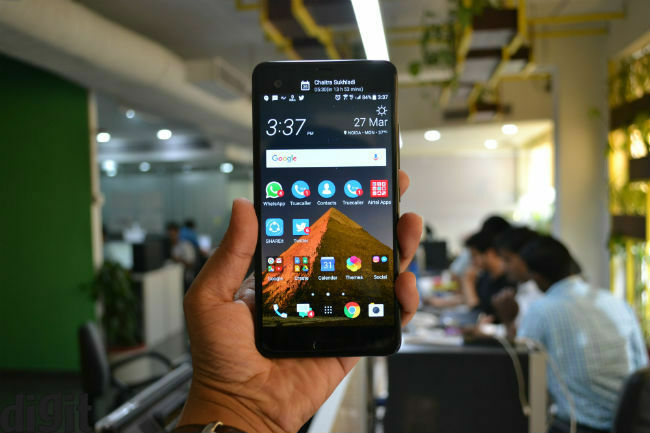 In recent times, LG has put considerable emphasis on dual-display smartphones like the LG V20, and the HTC U Ultra has a similar setup too. Lift the smartphone and only the secondary display comes on, revealing the time and some of the notifications. You can swipe to create your own reminders or see your existing reminders, use shortcuts to functions such as torch, Wi-Fi, camera, calculator and more. You can include shortcuts to popular apps, contacts and see the weather for the rest of the day. It is quite nifty, and once you spend some time with it, you will get used to using it efficiently. All of the settings are also conveniently customisable, adding versatility to it. Overall, the second screen is a welcome addition to the smartphone, although it isn’t the main selling feature for this flagship. The fingerprint sensor fairly accurate, although the user interface presents a two-step layout by default. You get news articles by default on the lock screen, and from standby, hitting the fingerprint sensor will prompt you to put in the fingerprint again – a two-step process that is rather inefficient. You can switch the feed off to get direct unlock, which is more convenient. The front-facing camera is good, and works well for selfie lovers. As far as the rear camera is concerned, it isn’t the best out there, and is noticeably behind the top smartphone cameras right now. Low light photos are decent, but produce noticeable noise. In well-lit situations too, there is loss of colour accuracy, contrast and details, particularly seeing that this is a pretty expensive smartphone. Focusing is not too fast, and struggles when you shoot macro. The U Ultra can record 4K (UHD) videos, with recording duration limited to 6 minutes. 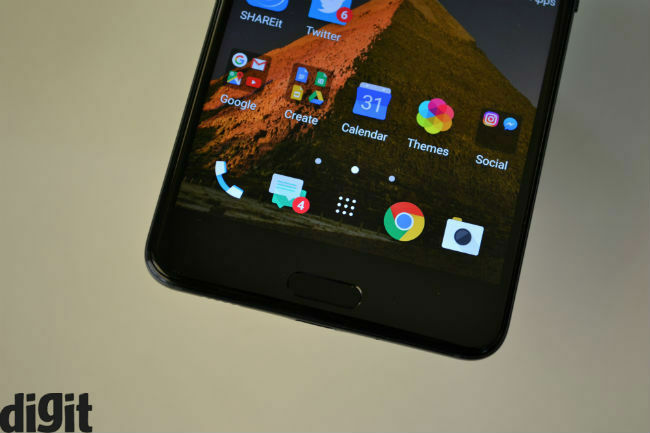 Sound is one thing that HTC does well and it is evident on the HTC U Ultra. You have BoomSound with stereo speakers – one in the earpiece and one near the USB port, and they sound good. There is good detail in the sound when watching Netflix and YouTube, particularly considering this is a smartphone speaker. They may not be very loud, but are quite clear. Coming to the headphones, the 3.5mm audio port has been removed, and HTC does not even include a TRS-to-USB C adapter, which makes your choice highly limited. This is majorly inconvenient, as I cannot use my own pair of headphones with the device. I am not convinced that we need to move away from 3.5mm headphone connectivity yet, but adjusting to the transition certainly needs an adapter for the time being. The bundled headphones sound about average, and there is a distinct bias for treble, with attenuated bass response. HTC tunes the music playback via U Sonic, depending on your ear structure. Calibration results audibly vary, and although details are fairly well tended to, the overall audio balance is rather disappointing. Using wireless headphones would be your best bet at making the most of the U Ultra’s audio proficiency, which itself calls for a fair amount of investment in order to derive decent output. 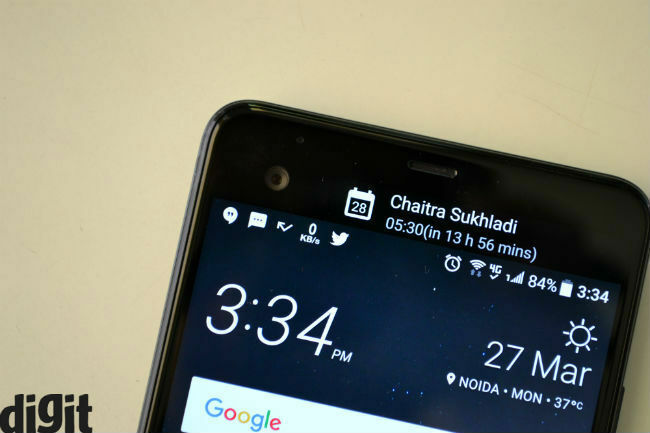 The HTC U Ultra majorly disappoints in terms of battery life. 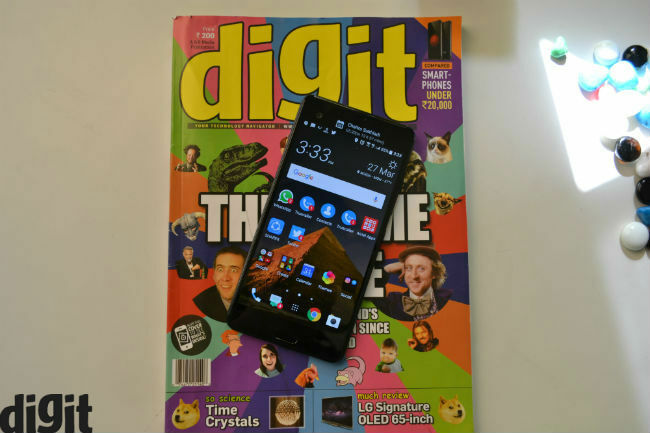 Sporting a 3000mAh battery, the HTC U Ultra can last an entire workday of average usage, at best. In PCMark battery tests, the device lasted for about 7 hours, which is disappointing. 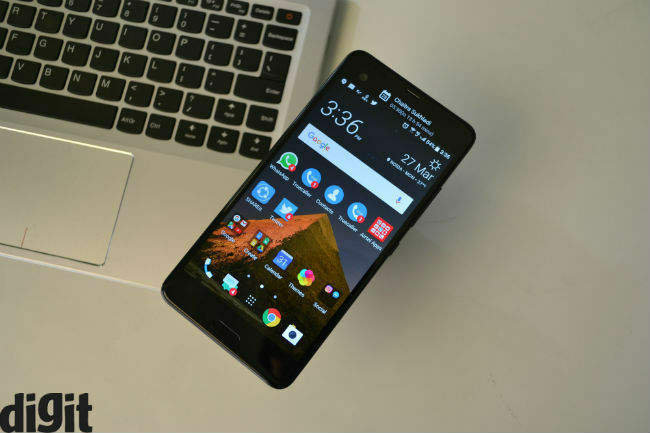 With heavy usage, you would need to charge it before heading back home from work, which translates to about 8-9 hours of real time usage. 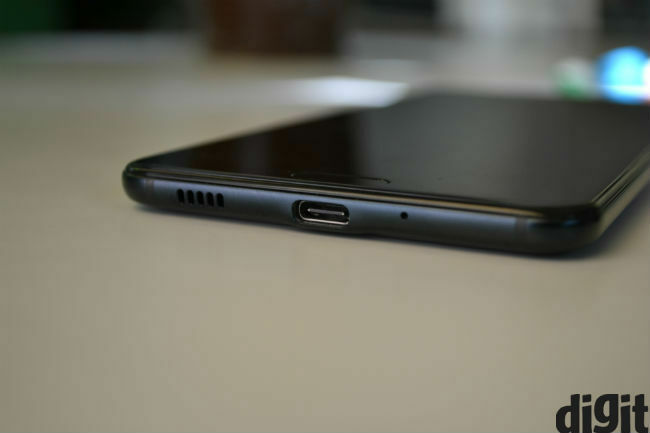 Despite QuickCharge 3.0, the HTC U Ultra charges slower than the OnePlus 3, for the first 45 minutes. 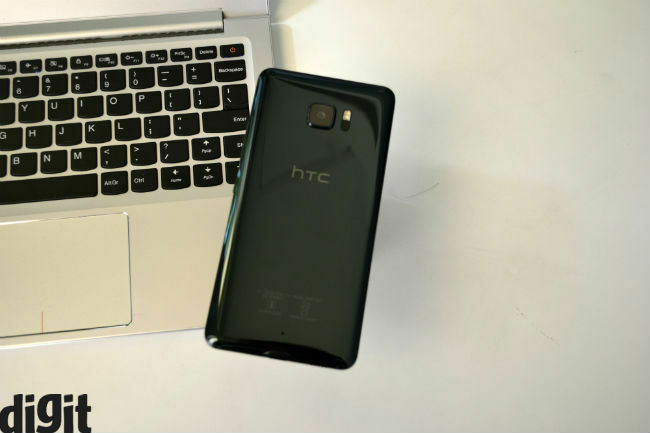 As of writing this review, the HTC Sense Companion isn’t 100% active so we aren’t commenting on it. 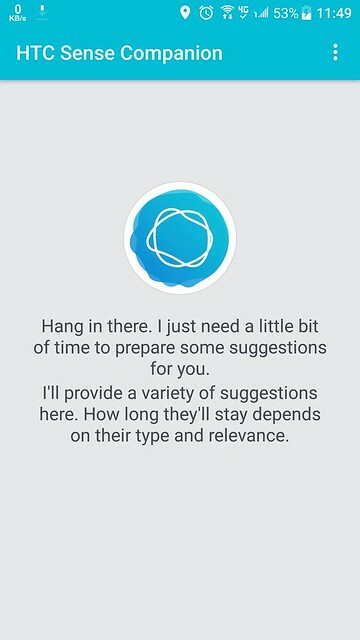 The Sense Companion is essentially HTC’s own UI assistant, and will hopefully be rolled out in following updates. 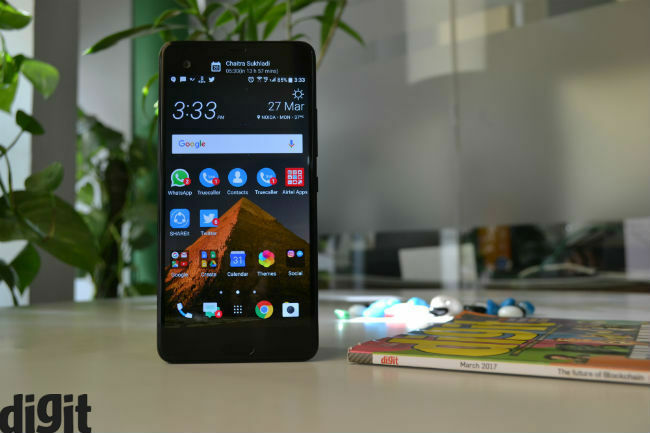 The overall performance of the HTC U Ultra is quite what you would expect from a flagship smartphones. Most apps and games ran smoothly, and there were no noticeable glitches with multitasking, calling, social networking or browsing. The display, though, is not really at par with flagships. At its lowest brightness, the device is still brighter than most others, which is a good thing. Auto brightness keeps the display brighter than what I like, and this is possibly how many would prefer it. What you will face a problem with, is sunlight visibility. The HTC U Ultra has maximum luminance of 544 lux, which is rather low for a flagship. For perspective, the Apple iPhone 7 has a maximum luminance that crosses 800 lux, whereas the Pixel XL has maximum brightness of 805 lux. However, the display fares well in terms of colour accuracy. Gaming, video streaming and other actions look quite impressive, as long as you are using it indoors.